Situated against the Steinbeck Mountains in Northern California’s picturesque Monterey County, Sunrise Villa Salinas is a beautiful senior living community offering assisted living and memory care. Our building is nestled in an upscale neighborhood, just a short drive from the Monterey Peninsula Coast. Featuring beautifully landscaped grounds, large courtyards, and breathtaking views of the local mountains and farmland, Sunrise Villa Salinas embodies casual elegance and is rich in community values. Each of our large, private suites comes well-equipped with a full kitchen, a private patio or balcony, and ample storage. Our lovely co-op gardens are maintained by our residents. Because of our unique coastal location, residents frequently visit the wharf for lunch, Cannery Row for shopping and dining, as well as the multitude of local museums. Our long-tenured, compassionate team provides a supportive environment for accomplishing health and wellness goals and promoting overall well-being. In addition to our assisted living care, we provide a specialized Terrace Club® Neighborhood for residents who are living with the early to moderate stages of memory loss. 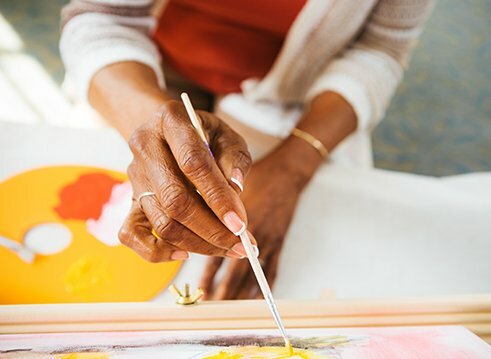 These suites are designed to promote social engagement—proven to be one of the most beneficial and therapeutic approaches for individuals experiencing memory loss—and encourage a mutually supportive community. At Sunrise Villa Salinas, we take pride in being fully integrated into the larger community. Each year the staff and residents build a float to participate in the Salinas Christmas Parade and home lighting competition (we frequently win the top prize!) and we participate in the weeklong celebrations leading up to the annual California Rodeo Salinas. Our activities programming is robust and varied; our residents particularly enjoy playing volleyball and can participate at any level. The menu options are also exceptional, and our chef regularly prepares community favorites such as chicken cordon bleu and quiche Lorraine. Stop in and visit us anytime for an activity or a meal today, and see for yourself how our residents live well and happy. Over Father's Day weekend, a dozen children visited Sunrise Villa Salinas and gave hats and cards to the male residents! Read about the special day from the Monterey Herald. Book online, call 831-731-5455 or email us to schedule a visit. We look forward to meeting you! Every day is an opportunity for our residents to engage, enjoy, express, learn and grow. Find out more about how we handle the day-to-day chores so you can focus on the things you love. Explore our weekly menu—full of wholesome, delicious options that align with your health goals.